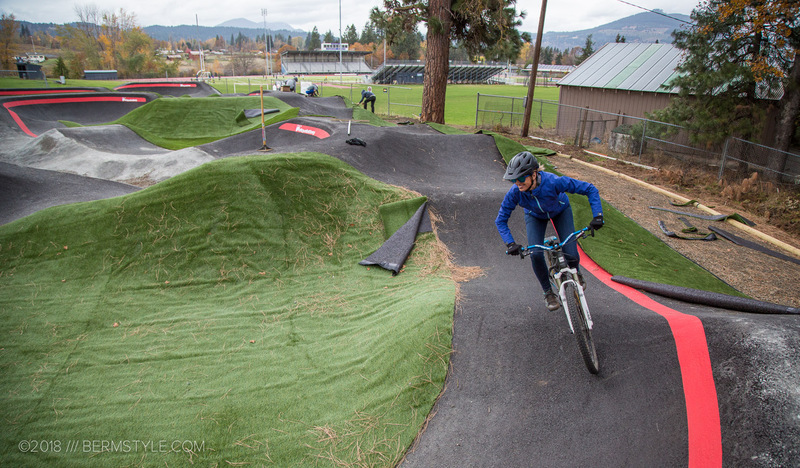 The Velosolutions Crew have been busy, finishing new public paved pump track projects in Redmond and Hood River, Oregon. 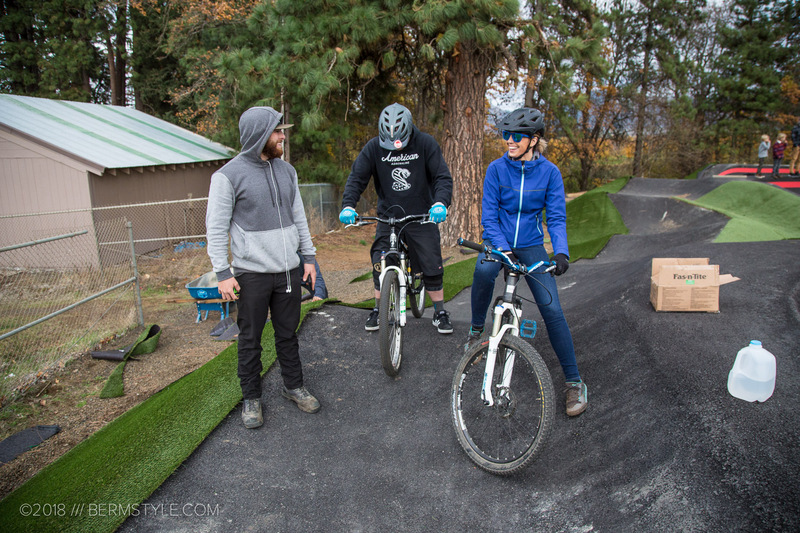 After a morning of riding the trails at Post Canyon we stopped over and finally got our first taste of the new paved pump track experience. 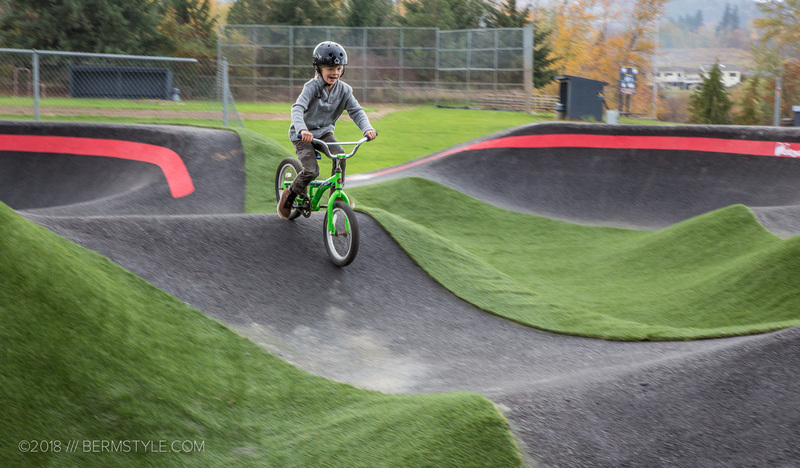 Riding a paved pump track is like a mix of riding a skate park and pump track in one. 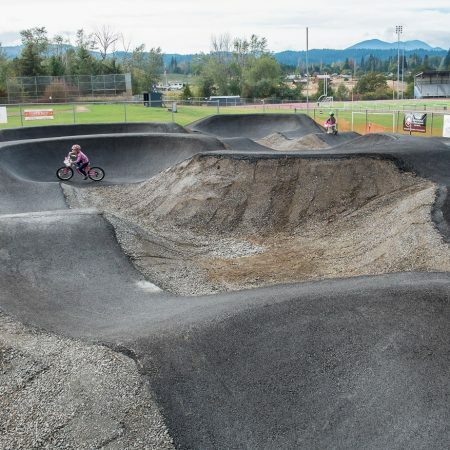 Unlike a dirt pump track, the waves of paved black top won’t change, which allows the builders to fashion steeper transitions in the berms and much higher top speeds. It also means the consequences of falling down are increased as well. A full face helmet isn’t a bad idea if you’re planning to push it. 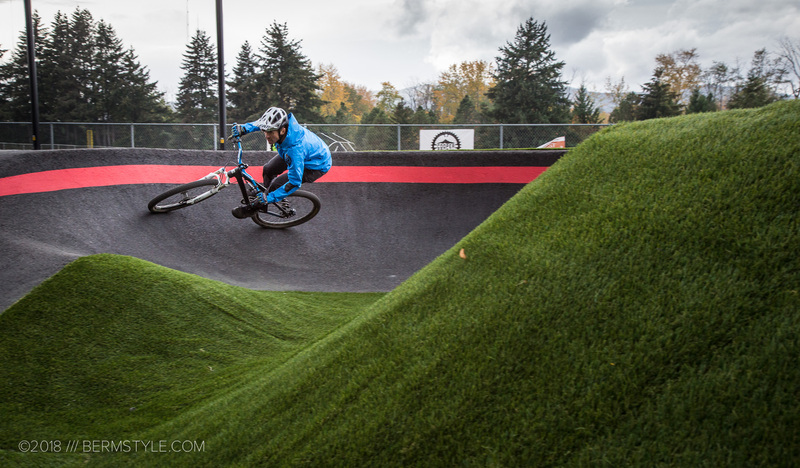 Our first time on the track being what it was meant feeling out the lines and getting used to the turns — not to mention getting a bit of conditioning in. 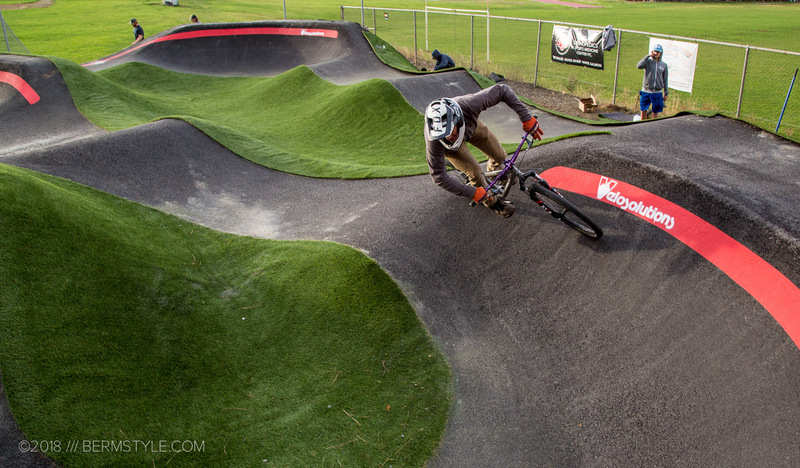 Riding a pump track at speed can take a good amount of energy; you’ll also want to stretch out those neck muscles, as keeping your eyes and head on the next few turns in front of you is the key to riding a track well. 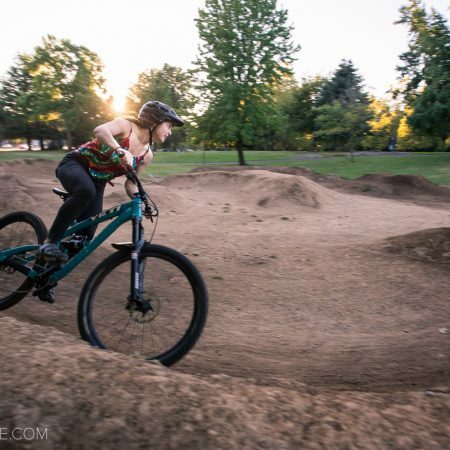 Inga learned that the hard way — riding road bikes is good for the all day trail riding fitness and endurance, but pump track fitness is completely different. After a few multi-lap marathon runs she wore herself out taking a break to take a turn on camera duty. I stuck to runs that were a full lap long with breaks in between. The Golden Eagle track isn’t as big as the new one in Redmond, but its still much larger and far more engaging than anything we have in Portland. 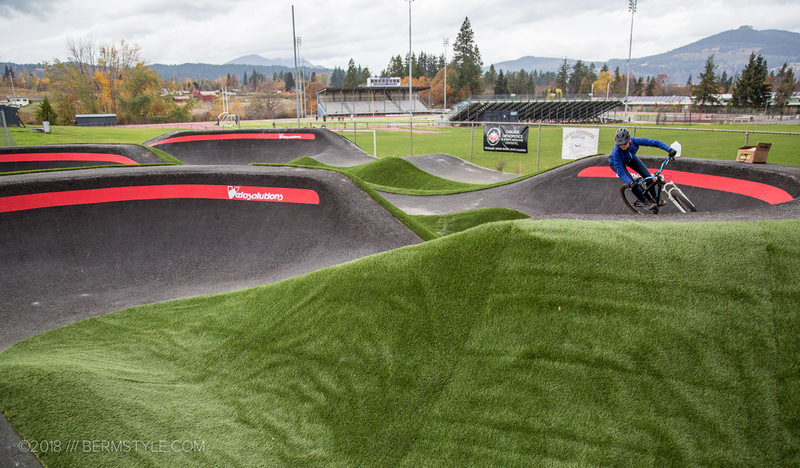 We’re admittedly quite jealous that Hood River mountain bikers have this great new addition to their riding options. 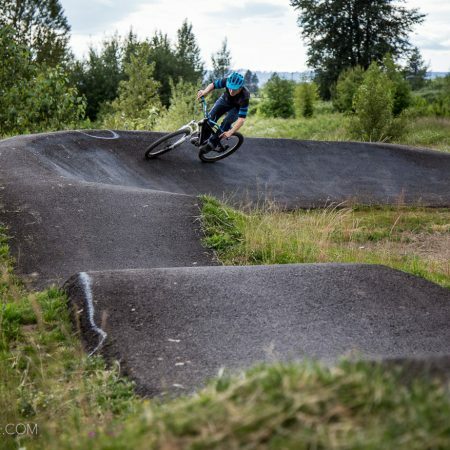 The design of the track puts an emphasis on dialing in your body position in the connected bowl turns, but you can build some good speed on the straight section to double up some of the rollers. 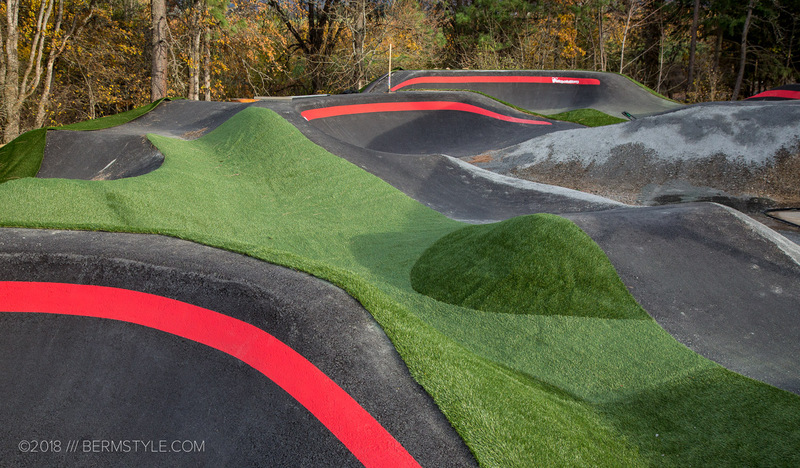 There are lot of other sneaky lines, transfers and gaps waiting to be discovered as well. 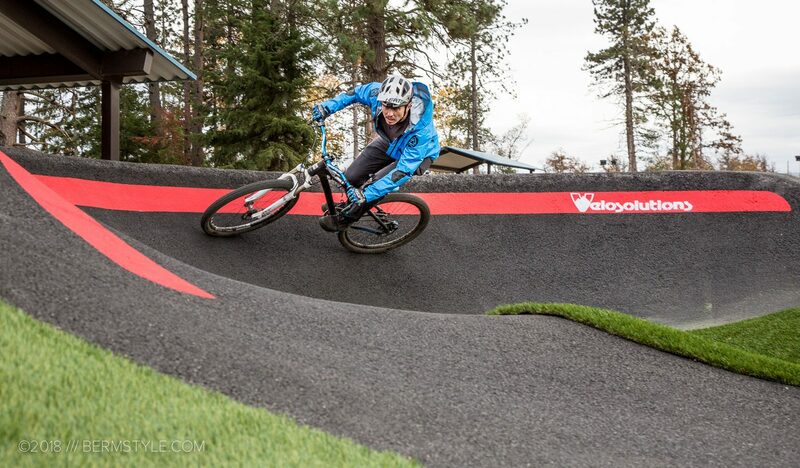 The track can be a challenge to carry flow though – especially if you haven’t ridden a lot of pump tracks. 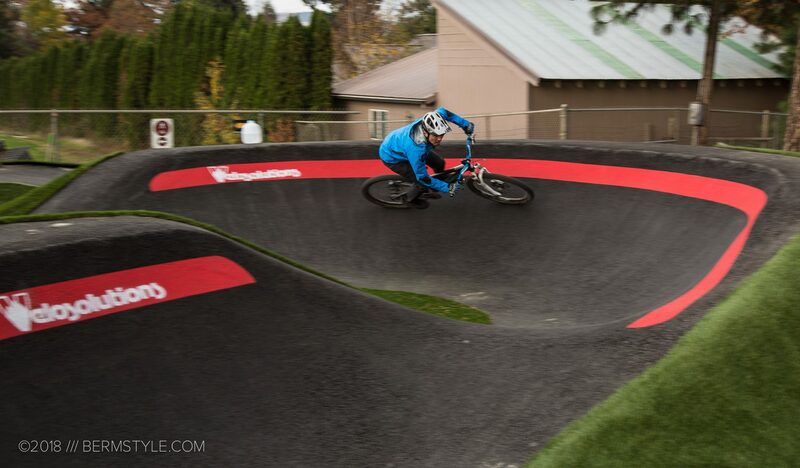 The S-turn section especially requires commitment to the high line to flow it well. 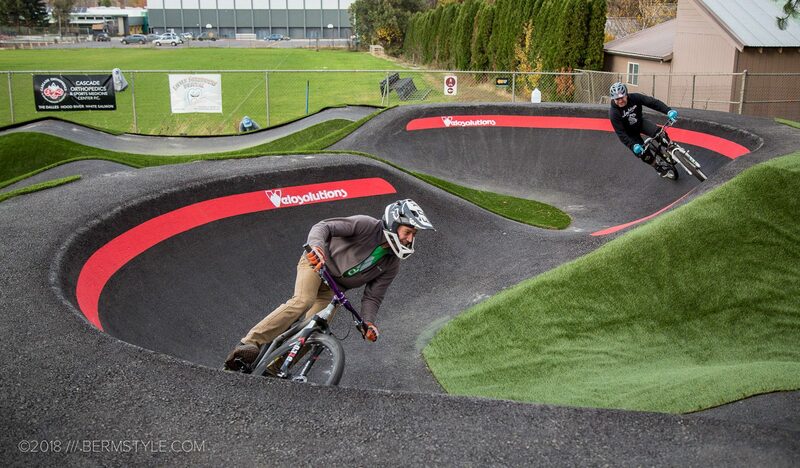 The best part of a paved track like this though, is that it’ll be here for you to continue practicing on, and dialing in those lines, your technique and body position. Not to mention conditioning and flexibility! 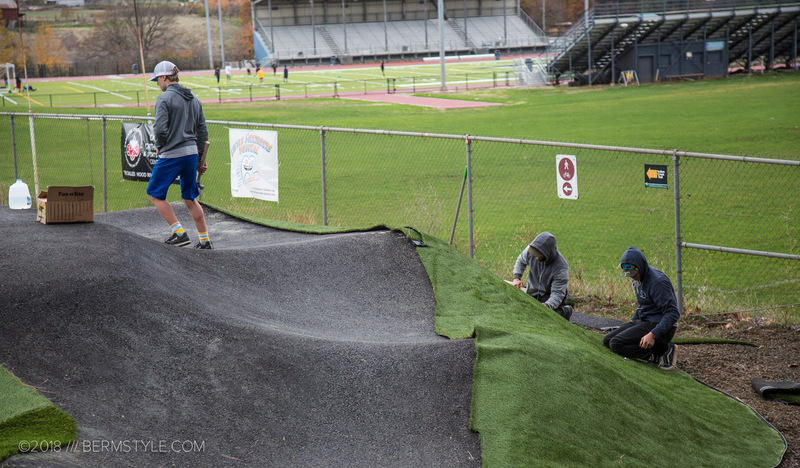 The crew is wrapping up the final touches on the track. Since we visited it last, the walls/outside transitions have been hardened, and a layer of artificial turf was being installed. 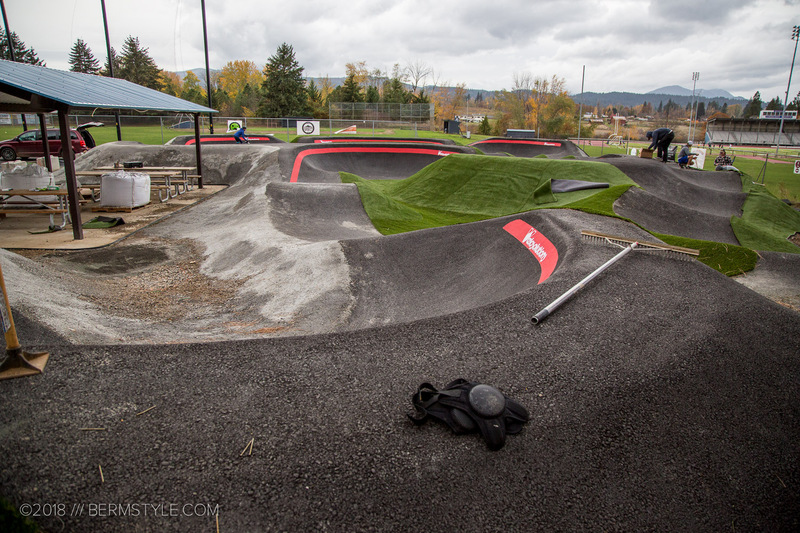 The turf should all be completed by now, so make sure bring your pump track bike the next time you visit Hood River. We had the opportunity to chat with some of the builders that were performing the work. 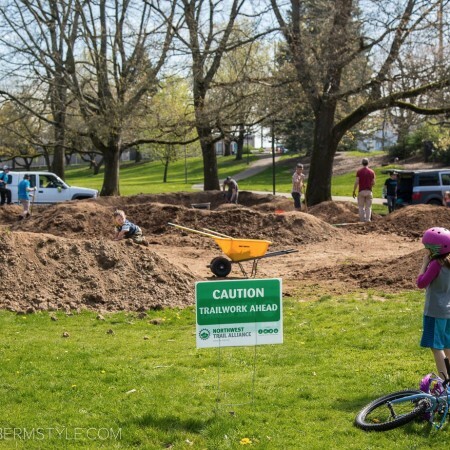 Although they were hard at it pounding in pavement nails to secure turf, they were gracious enough to let us get our session in.